In just a few days time, some of the most highly anticipated books will be released on June 5th. 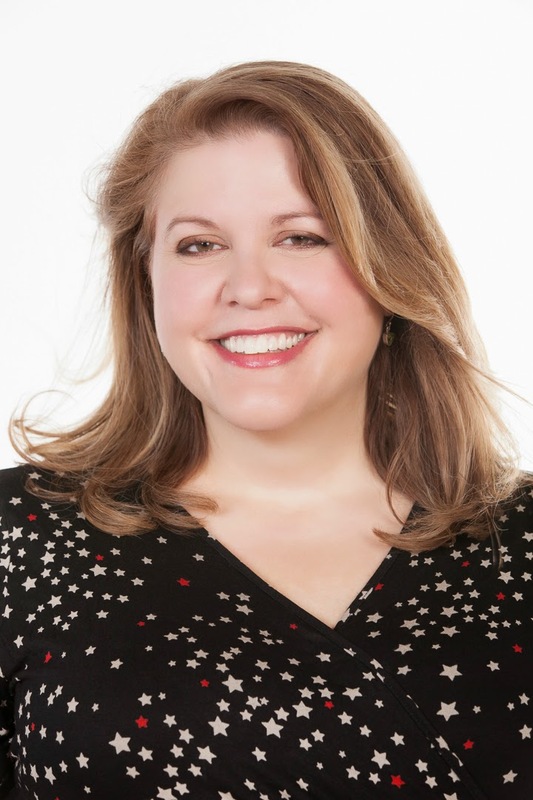 CJ Daugherty's next instalment in the Night School series is, of course, one of these books, along with other favourite YA authors. I'm really excited to be a part of a celebration of these books, thanks to Jim from YA Yeah Yeah, as he pieced it all together! Thanks so much to CJ for handling how disorganised I actually am - and for the signed copy of Night School: Resistance that I'll be giving away at the end of this post! Onto the Guest Post! Header designed by Daphne from Winged Reviews! I get asked a lot about the inspiration of the Night School series. In case you don’t know, Night School is set at Cimmeria Academy, an Eton-like boarding school for the children of the country’s elite. The school is run by a powerful secret society, one that also quietly controls the government, the courts, and the media, as well as major corporations. Only now that organisation is tearing itself apart. A power struggle is playing out at the very top, and Cimmeria is caught in the crossfire. When people ask me about the inspiration for Night School, I think what they’re really asking is: What part of the deep, dark recesses of my conspiracy theory-loving brain held this story? At first, I didn’t have a good answer. I wasn’t sure where it all came from.Over time, though, I’ve come to realise a lot of factors led me to Cimmeria. When I wrote the first book in the series, I’d recently moved to Surrey, where you can hardly swing a cat without hitting the ivy-covered wall of an exclusive boarding school. I went to a hyper-modern ordinary American high school in a busy city, so I find British boarding schools amazing. It’s also worth mentioning that, when I first started writing the book, I was working for the British government. I had meetings at Cabinet Office and Number 10, and walked by Parliament every day on my way to work. So my brain was all over politics. Then, one day, on my way home from work, I saw a photo in the newspaper. 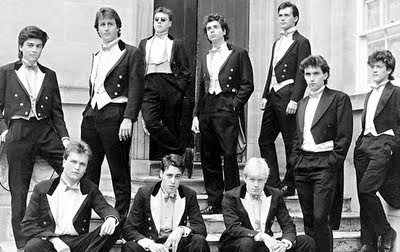 The caption read ‘The Bullingdon Club: A secret society at Oxford University’. The photo featured a teenage David Cameron and Boris Johnson when they were part of this secret organisation. Later, other photos emerged showing a young George Osborne when he was part of the same shadowy group, along with MPs, business executives, bankers, financiers, princes, dukes, a variety of barons and… You get the idea. And I thought: That’s IT. My idea, my story, my book. It was right in front of me. Here were the children of politicians, business leaders, media executives and royalty. Looking at those photos it’s clear those young people can have anything they want. They can become anything they want. The world belongs to them. And they know it. You can see it in their eyes. I found them fascinating then, and I still do. Now, let me tell you about another story I read in the newspaper. Shortly after I moved to Britain from the US, I read an article about then Prime Minister Tony Blair’s son, Euan, being discovered drunk in the gutter in Leicester Square and having to be helped home. The year was 2000, he was sixteen at the time. Everyone felt a little sorry for him. Every sixteen year old should be able to make mistakes in private. It seemed unfair for this to make the papers. I kind of forgot about him after that. Here’s the thing. Last year, aged 29, Euan Blair paid £3.6 million for a house in London. He’s being groomed to be an MP. According to the newspapers, he’ll be given a safe parliamentary seat in the next election. That is the language they use. ‘Given’. This is Night School. In real life. When you look at it that way, I suppose the inspiration for Night School was just opening my eyes and looking around me. Seeing the world as it is. I want to win because this is one of my favourite series and so I am desperate for the 4th book. I hope you enjoy Resistance when you read it! I want to win because this book sounds just amazing! Did you hear that there's now going to be a fifth book in the series? I love a new read. This seems to be such a loved series! I hope you get a copy soon! Thank you for entering, Nathalie! Hope you get a copy soon! Heard it's pretty good! 2) I'm a huge fan of Night School and I run a big fan page with more than 1,100 likes! Thank you so much for entering, Seifan! I hope you get a copy of Resistance soon! It certainly does! Thank you for entering, Laura!